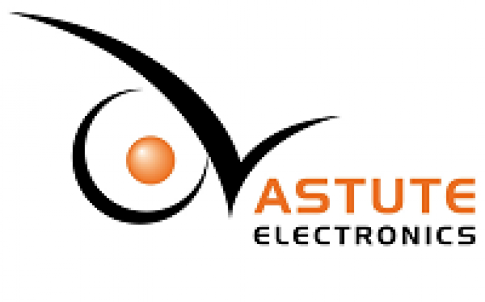 Astute Electronics, the leading supplier of electronic components and value added services, has introduced the Nicomatic OMM Series 8 micro-circular connectors for board-to-cable interconnection. They meet MIL-DTL-55302F and, at less than two grams, are about half the weight of competitive devices. When compared to MIL-83513 connectors or similar metal connectors even in nano size, OMM micro circular connectors provide an alternative for anyone wanting to save space, reduce the total mating dimension for the male to female halves and increase the quality of contact by allowing higher amperage. The connectors provide a secure connection using a captive screw and they are suitable for use in harsh environments. They are aimed at applications in small spaces such as unmanned aerial vehicles (UAVs), UVS missiles, surveillance cameras, robotics and handheld remote controls. They have an eight-position housing size with either pre-wired, SMT or straight-tail signal terminations. With a total mated length of 7.8mm in PCB to PCB or 12.6mm in PCB to wire and an outer diameter of 11mm, the OMM connectors can withstand temperature variations from -60 to +260˚C and have gold-plated contacts hooked in Nicomatic housings to make them capable of up to 2500 mating cycles. Current per contact is 3A.